Director Paula Williams’ 2015 engagements include a new production of Le Nozze di Figaro in Seoul, Korea and the upcoming Tosca and Il Trovatore revivals at the Metropolitan Opera. Ms. Williams has had a long artistic relationship with the Metropolitan Opera, and has directed several recent MET revivals including Tosca, Il Trovatore, Pelléas et Mélisande (conducted by Sir Simon Rattle), and Kát'a Kabanová. Tosca and Il Trovatore have also been recently broadcast as part of the Metropolitan Opera's Live in HD Series. In the past year she worked at the side of renowned British director, Sir Richard Eyre on his productions of Carmen, Werther, Le Nozze di Figaro, and Manon Lescaut. Manon Lescaut opened the 2014 Easter Festival in Baden-Baden. 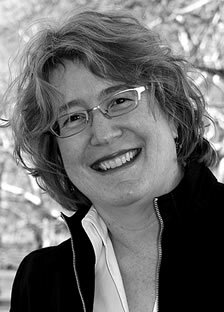 She has worked extensively with young singers, directing Xerxes and Le Nozze di Figaro for Wolf Trap Opera. For the San Francisco Opera Center Williams has directed Cosi Fan Tutte and Le Perichole. At the Cinncinati Conservatory of Music Williams productions of Don Giovanni and Le Nozze di Figaro were highly acclaimed. Figaro was awarded the National Opera Institute’s Best Opera Award and was also seen at the Conservatories Summer Program, The Opera Theater and Music Festival of Lucca. Her work has been seen at the Arizona Opera (Susannah), Hawaii Opera Theatre (Norma, Roméo et Juliette, and Madama Butterfly), Skylight Opera (The Barber of Seville), Utah Opera (Turandot), and Edmonton Opera (Carmen, Die Zauberflöte). For the Chicago Lyric Opera Williams has directed Andrea Chenier and Kát'a Kabanova. Miss Williams made her Metropolitan Opera House directing debut with Ruslan and Lyudmila for the Kirov Opera Festival. Ms. Williams original opera home was the San Francisco Opera where she directed numerous productions including Aida, Ruslan and Lyudmila, Andrea Chénier, La Cenerentola, La Traviata and Die Zauberflöte. During her early years in San Francisco she was honored to receive two San Francisco Opera Study Grants and a San Francisco Opera Guild Scholarship. An alumna of the University of Denver, Williams was the recipient of the Katrina McCormick Barnes Scholarship, a full four-year scholarship and a two-time recipient of the distinguished Lorraine Welker award for outstanding student in theater.